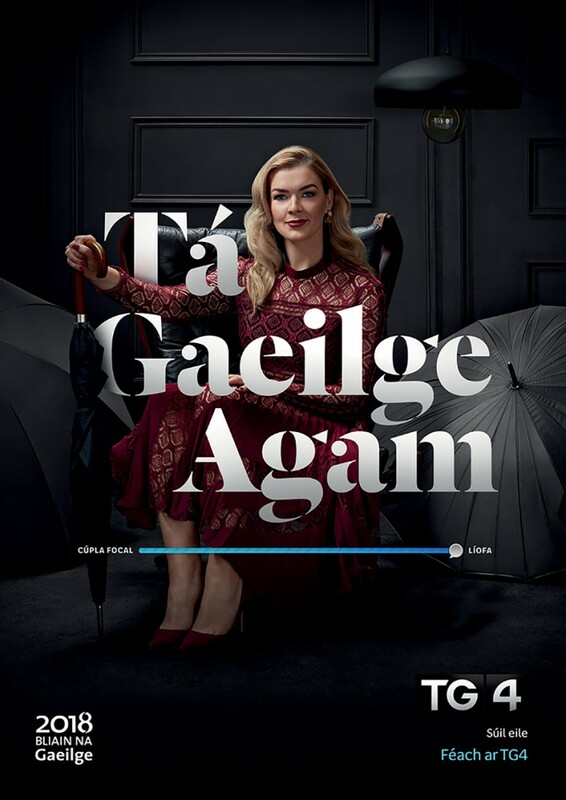 “Fear of usage” is a problem with many people and a barrier to their engagement with the Irish language and its media brand, TG4. 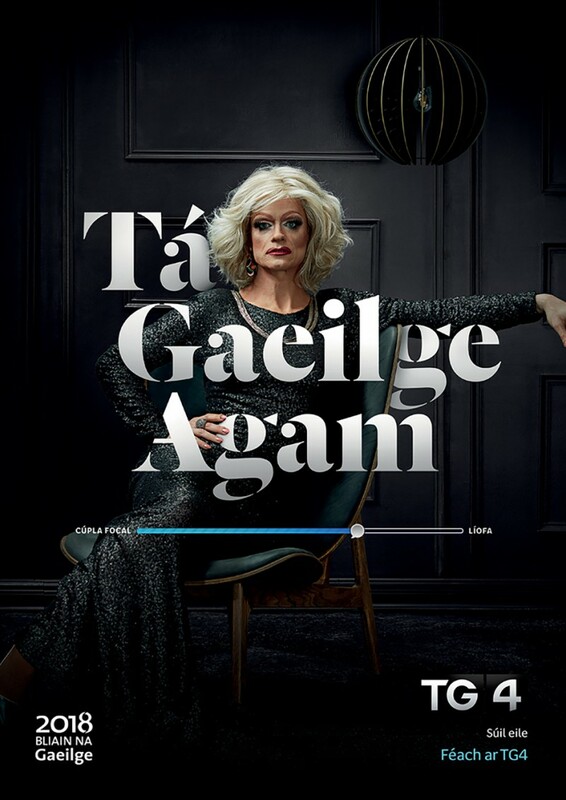 Our solution was to leverage the opportunity afforded by Bliain na Gaeilge (Year of Irish), to make the language/TG4 more accessible. 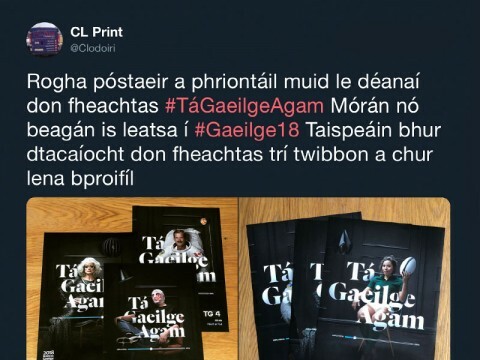 Research told us that despite this fear of usage, 70% of us express a desire to speak more Irish, even if we only have a ‘cupla focail’ (few words). 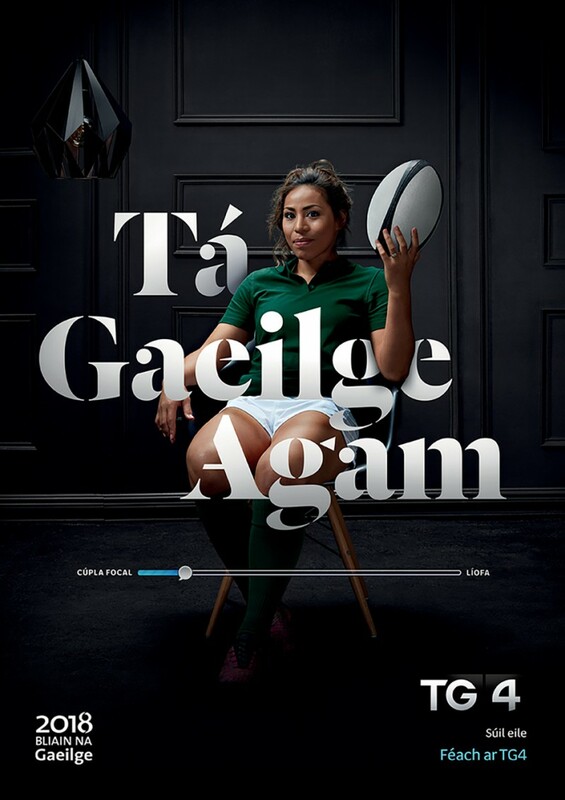 We designed a campaign to give people permission to speak the language – at any level. 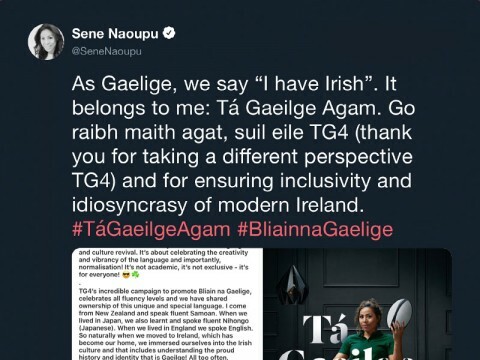 Our team discovered a simple expression that held a deep meaning: in the Irish Language we don’t say “I speak Irish”, we say “I have Irish”; it belongs to me. 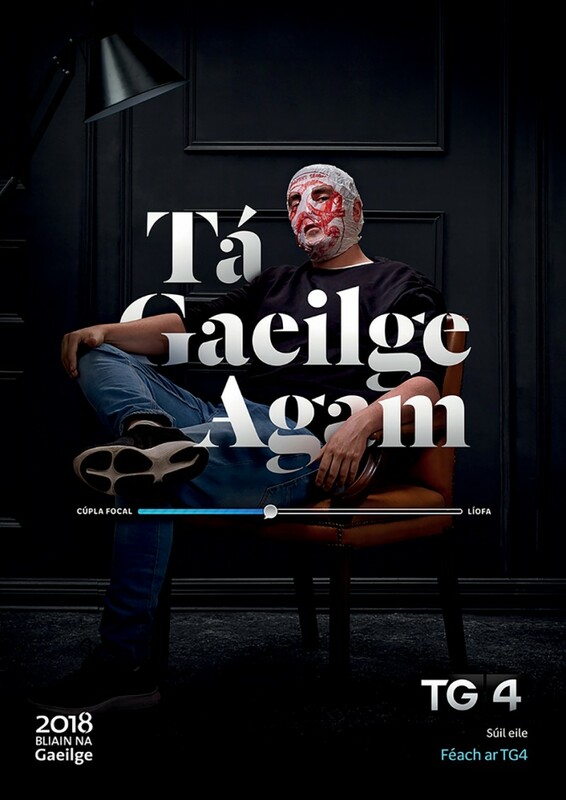 “Tá Gaeilge Agam”. 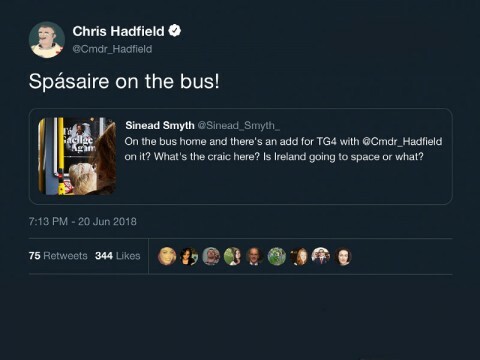 Irish can and should represent all the vibrancy, inclusiveness, openness and idiosyncrasy of modern Ireland. Whether you are a fluent speaker or just have a few words you have a right to embrace and use your language. 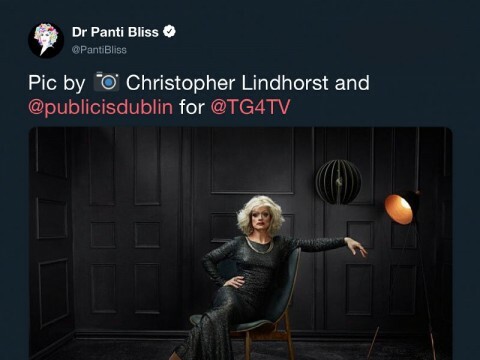 To help people to see the language in a new light we chose a series of high profile, unexpected figures who could help reframe the associations – who could represent audiences of all levels; from the native speaker (Caitlin Nic Aoidh), to those with moderate knowledge (Panti Bliss/Blindboy) and even total novices (Chris Hadfield). Each is a passionate voice in their own field, proud of their identity and heritage. 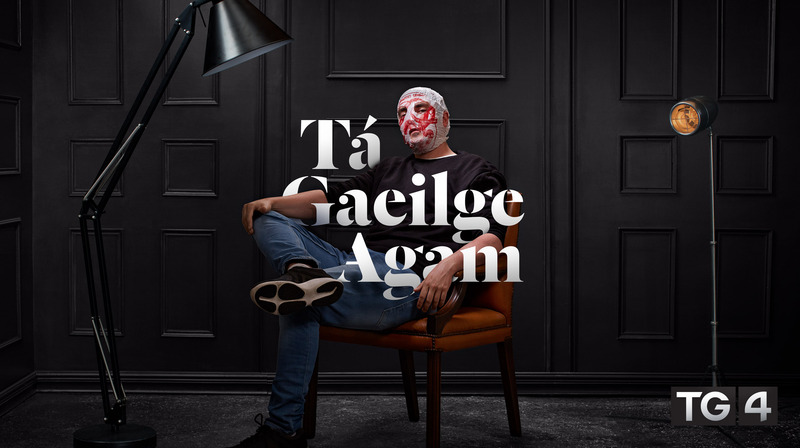 We developed a series of striking portraits coupled with the iconic ‘Tá Gaeilge Agam’ phrase. 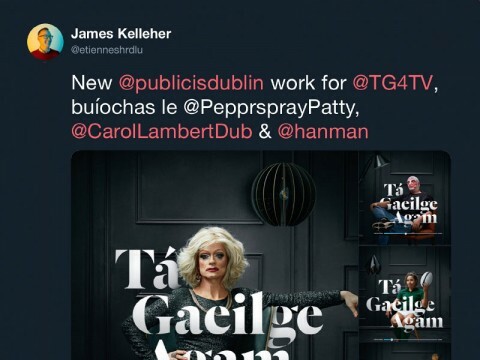 Our TG4 work has a strong heritage of punching above its weight, capturing the public imagination, and driving positive attribution for the brand –this campaign truly continued that legacy. We drove further engagement and participation online with a fun ‘gauge your fluency’ test. Find out who we are. Read more about us and get in touch.